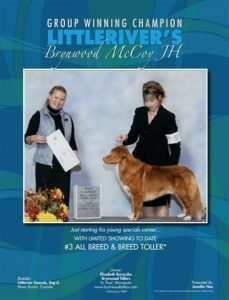 Ch Littleriver’s Decoy Dancer, who is a son of CKC BISS Ch Littleriver’s Delhaven Dancer. 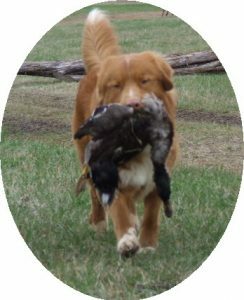 who have persevered against tough opposition. 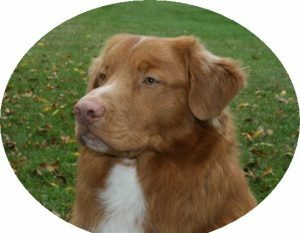 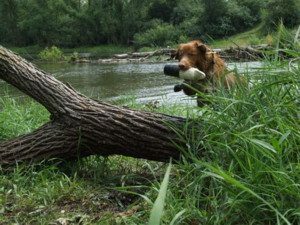 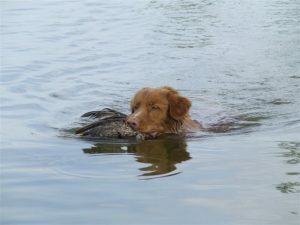 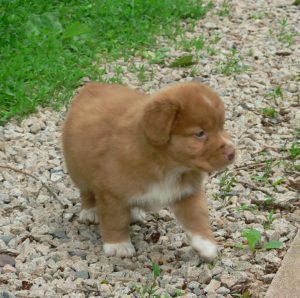 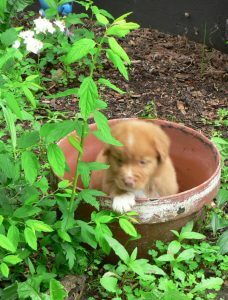 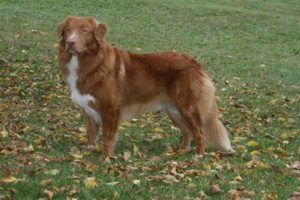 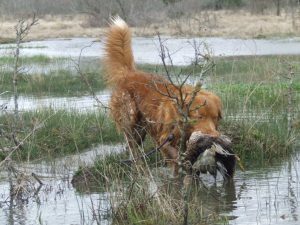 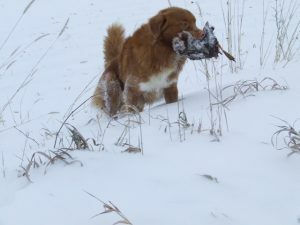 More than just a “pretty toller”! 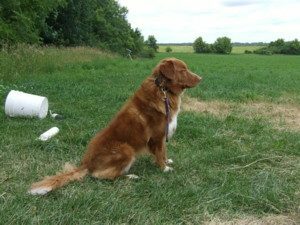 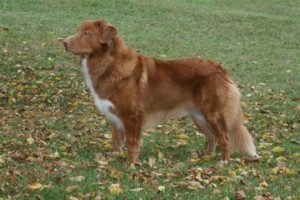 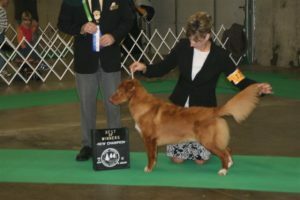 One of five tollers invited to compete at Westminster in 2009.